No spoilers but remember in the previous instalments where the titular hero struggles against foreigners, helps locals defend against large numbers of gangsters, envied by some other martial artist, is challenged to a one-on-one when his family or wife need him and predictably wins in the end? Well, this one is almost exactly just that. Almost. 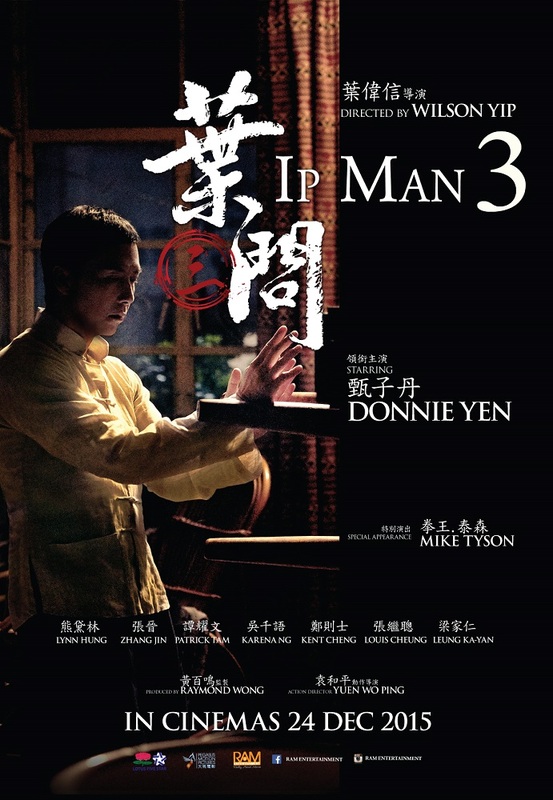 Donnie Yen once openly said that he wouldn’t want to do another Ip Man film but I guess after disappointing streak from the awful Special ID (2013) and Iceman (2014) to Kung Fu Jungle (2014) which received mixed reactions, it’s a clever thing to reprise the role that he plays the best. Besides, it wouldn’t be that bad considering that China wasn’t involved at all unlike his last few films, and that the producer, writer and director who did both the previous two instalments — Raymond Wong, Edmond Wong (The Monkey King, Saving General Yang) and Wilson Yip (Flash Point, SPL) respectively — all returned for this sequel. It was very worrying indeed at first with the trailer where they had Mike Tyson saying, “Let’s see whose cheese is faster, yours or mine.” Sorry, I mean fist, not cheese. The film is set in 1959, a few years after the events in Ip Man 2 (2010), where Hong Kong is still not well treated under the British colonial rule. 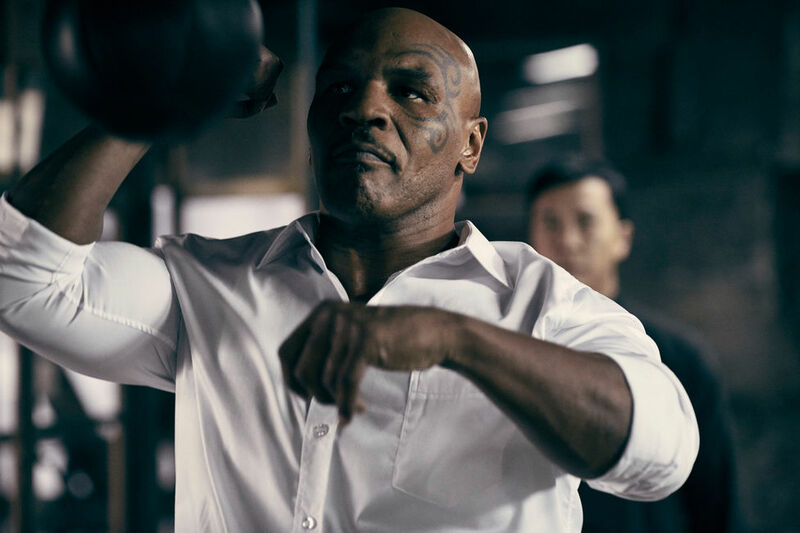 Ip Man’s second son, Ip Ching, is now a little boy who studies at a school that just so happens to be in trouble with Frank (Mike Tyson), a foreign property developer who’s also the boss of a violent mob. Due to the lack of support from the police, Ip Man has to sacrifice all his family time to protect the school day and night. While Ip Man is being widely regarded as a hero by the locals, Ip Ching’s schoolmate’s father, Cheung Tin Chi (Zhang Jin who played the well-groomed villain in SPL 2: Time of Consequences), who’s also a Wing Chun practitioner, becomes envy of him and aims to be more popular than him. There’s no really followup on what happened to the some of the characters that survived in the last film. But it doesn’t matter as this franchise is so far away from the facts and history that it shouldn’t even be labeled a biographical film at all. The story does not represent the real Ip Man at all and instead, it’s turned him into a go-to, unbeatable kung fu hero like the movie versions of Wong Fei Hung. The script, or final cut, is very patchy with plenty of inconsistencies and loose ends. Example, they have Ip Ching who’d switch between being courageous and a cry baby within seconds (it would’ve been awesome if they managed to get a kid who could act and fight like how Mo Tse Miao once did for a couple of Jet Li films). Also, some of the crimes and villains do not have a proper conclusion and there’s no clear reason why there isn’t one. Definitely not for a sequel, that’s for sure. Now let’s talk about the two gimmicks of the film — Bruce Lee and Mike Tyson. Lee, played by Danny Chan (The Legend of Bruce Lee TV series, Kung Fu Hustle), appears in only two unnecessary, fan-servicing small scenes in the entire movie. Serious-Lee, the story does not require him at all. Furthermore, it seems as though the makers of this film knows nothing about the legendary martial artist at all — having Lee to call himself by his stage name “Siu Lung” instead of his real “Jun Fan” and arrogantly rubbing his nose one too many times. 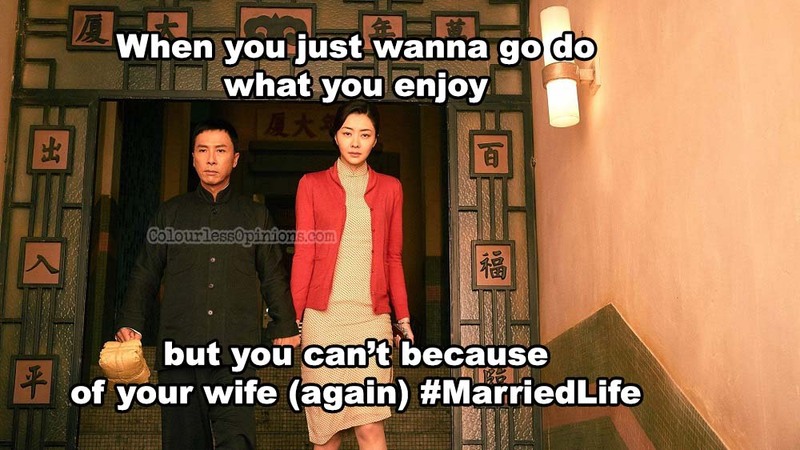 And there’s also a line delivered to him by Ip Man that makes no sense to story between them at all. The film does, however, have a good indirect nod to Lee’s famous one-inch punch. Tyson, on the other hand, his scenes are more respectful, but overly respectful without decent development for his character. The character didn’t need to be Tyson, nor does it need to be someone who can fight at all either. His Cantonese is pretty good though, so good that he spoke the dialect to a Thai character. 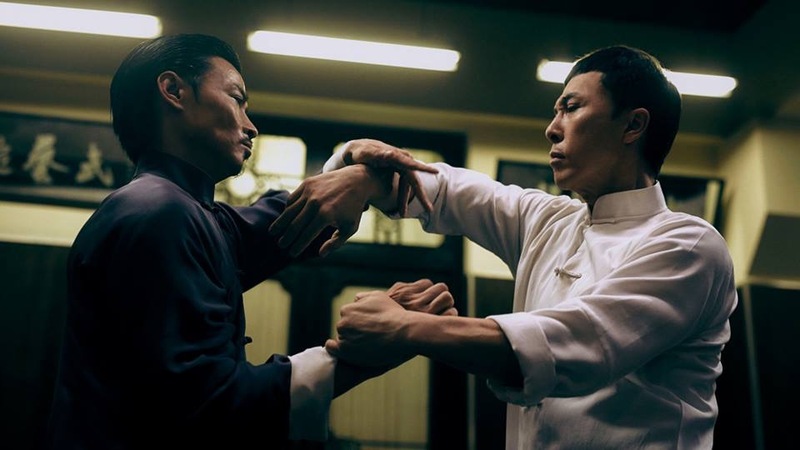 Nevertheless, despite its outrageous gimmicks and cliches, and being a sequel that’s less necessary than the previous one, Ip Man 3 is an entertaining martial art flick with the familiar plot formula, tone and style that works. It has good humour and surprisingly heartfelt drama which offers some real commendable emotional acting by Yen. The action scenes (directed by Yuen Woo Ping) are not as F-F-F (fresh, fun and flashy) as in the previous two films but the choreography (by Yen and Yuen Shun Yee) for the fight between Ip Man (Wing Chun) versus Mike Tyson (boxing), and Ip Man versus the other Wing Chun practioner, are very expressive from the martial arts standpoint as it conveys how Wing Chun can be applied (or not so well) against these kind of opponents. These actors can really fight, and therefore the sequences have a lot of wide shots and lesser cuts. Look out for the chi sao with knife sequence! Malaysia censorship: Fortunately, our beloved local film censorship board doesn’t know Chinese vulgarity so I don’t think anything at all was censored. Gum lan hou ah, diu?! Verdict: Not one of the worst sequels of the year.